So any idea what this skull belonged to? As usual, answers, questions and suggestions below and I’ll do my best to respond. Good luck! It looks like a long skull: is it a llama? Taxing? Clue’s in the clue. It’s an HMRC debt collector. Yes, but wouldn’t that be last week’s bloodsucker? The texture of the bone is like a seal, though, but it’s too small ? Is it ringed or grey? OK so not a juvenile seal. Lets think of some otther smaller marine mammals – is the clue in the spelling and canadensis? It would be a very small Walrus! Interestingly though, most marine mammals actually have quite open (albeit robust) orbits – possibly to allow pressure to equalise more effectively. It is an North American mammal known for it’s fighting spirit, amongst other things. Which might be why it’s the mascot for the football team of an American university. Of a state beginning with “W”. Nice clue in the intro! 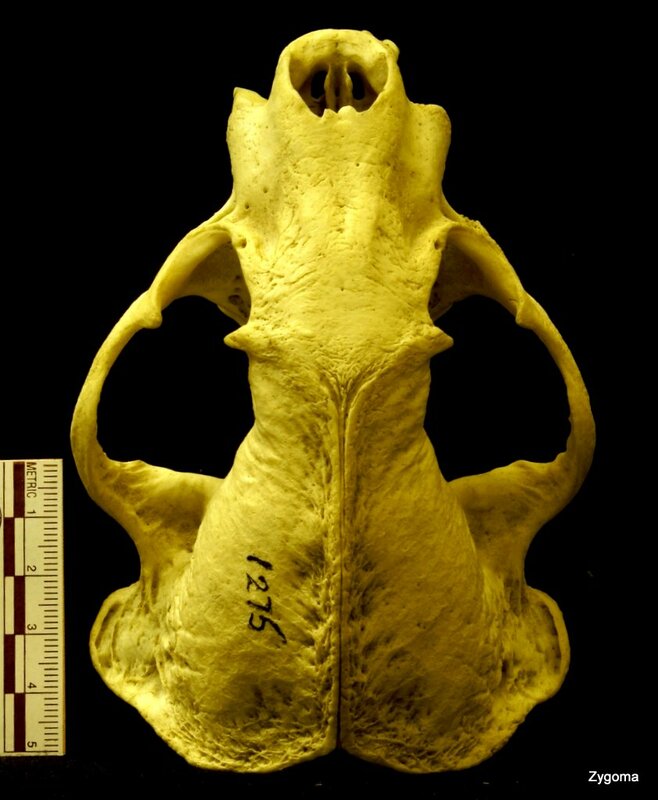 ..but it also looks very similar to http://scientificillustration.tumblr.com/post/10997594661/dorsal-view-of-otter-skulls-a-lutra-canadensis but on reflection scale suggests badger. The sun will come out … on Monday. On second thought, not big enough. I suspect the “taxing” bit was a clue after all. So I’ll go with that -idea. looks like the fictional character that first showed up in The Incredible Hulk with keen senses, enhanced physical capabilities, three retracting bone claws on each hand and a healing factor that allows him to recover from virtually any wound, disease or toxin at an accelerated rate? You were closer on your first comment, although the size is right. I don’t mean to “badger” you, but you replied “neither” to an earlier question, “Is it ringed or grey?”. I don’t think it’s ringed, but I suspect it is grey………….and with a prominant racing stripe! LOL.